Just how big is WhatsApp in Zimbabwe? We looked for the data and created this video for startups, digital marketers and anyone out there concerned with reaching a Zimbabwean audience. 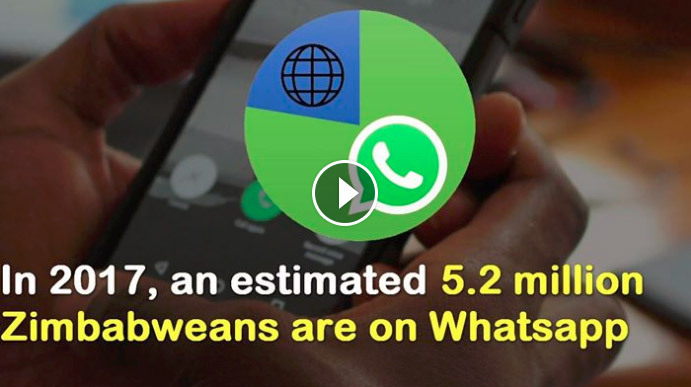 The data we looked at, including data from mobile operators, gives us a confident estimate of at least 5.2 million WhatsApp users in Zimbabwe. Ofcourse the biggest challenge with WhatsApp is that the platform is still a consumer only platform, providing no features that enable businesses to target their content and measure the reach. There are indications now that WhatsApp is working to change this. Recently for example, it became clear that WhatsApp intends to introduce payments features in the app. that way, the data will have more commercial value. What is your source for the 5 million figure? Please provide the empirical data that supports this figure. We can’t base this assumption on demographics alone, especially in light of the fact that the majority of the population lives in rural areas, where there hasn’t been comparable network infrastructure.